When you have a travel rewards credit card, it’s easy to have a kind of myopia for points bonuses and splashy redemptions, but you shouldn’t overlook what might be your card’s best benefit: Free insurance. While it’s great to have it, statistically, you’re unlikely to ever use your Chase Sapphire Preferred or Reserve’s primary rental car insurance, and you’ll hopefully never need its trip cancellation insurance either. But pretty much anyone that flies with any regularity has experienced long delays due to weather/maintenance/Mercury in retrograde, and I’m happy to report that Chase’s trip delay insurance is simple to understand, and easy to use. First, the particulars: If you have the Sapphire Preferred, you can invoke your benefit for a 12+ hour delay, or any interruption requiring an unplanned overnight stay. On the Reserve, that threshold drops to six hours. Both cards will reimburse up to $500 in reasonable expenses for the cardholder, the cardholder’s spouse or domestic partner, and any dependent children under age 22. 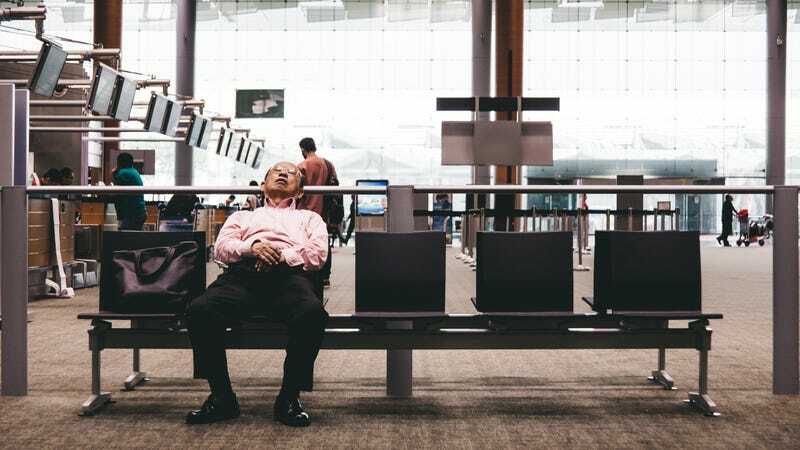 Finally, the delay must leave you stranded away from home, so you can’t expense meals in your hometown if your outgoing flight gets delayed overnight. My wife’s flight to Ohio was recently diverted to Detroit due to weather, requiring her to stay overnight before catching a new flight the following morning. Delta didn’t offer her a hotel voucher, but even if they had, she’d still be on the hook for dinner, Ubers, and Starbucks at the airport the following morning before her rescheduled flight. But since she put the flight on her Sapphire Reserve, she booked a Marriott near the airport while they were still on the tarmac, and probably grabbed an extra snack or two, knowing everything could be reimbursed. As my wife is a very busy veterinarian and I write blogs about deals all day, it was up to me to actually file the claim, but the process was easier than submitting a Univision expense report. I called the phone number on the back of our Reserve to get started, but all they really do is direct you to this claims website, so you can skip that step. Uploading receipts for the flight and the expenses was easy, the only hangup was submitting proof that the flight was diverted due to weather. I called Delta, and the customer service rep seemed pretty confused by the request, but they did eventually email me a statement about the delay. A gate agent at the airport might be able to help with this as well. A few weeks after the whole ordeal, we got our check in the mail, which more than covered a year of the Sapphire Reserve’s annual fee, minus its $300 travel credit. It’s easy to feel like a plastic bag in a hurricane when air travel doesn’t function properly; totally at the whim of forces larger than yourself. But racking up surprise expenses because there was like, weather in Boise, feels particularly unjust, and trip delay insurance basically makes it a non-issue. It doesn’t make delays any less inconvenient, but it removes one major vector of stress during a particularly upsetting time, and that counts for a lot.